6 small changes that can make a major difference. A few months ago, I was helping a good friend get her money organized. As we sat down to chat about her goals, she paused and told me that the conversation we were about to have made her nervous, which I wasn&apos;t expecting. She&apos;s a lawyer who regularly negotiates six-figure deals and is one of the most confident people I know. But when it came to taking care of her own money? She was so nervous about it she regularly avoided making big decisions. 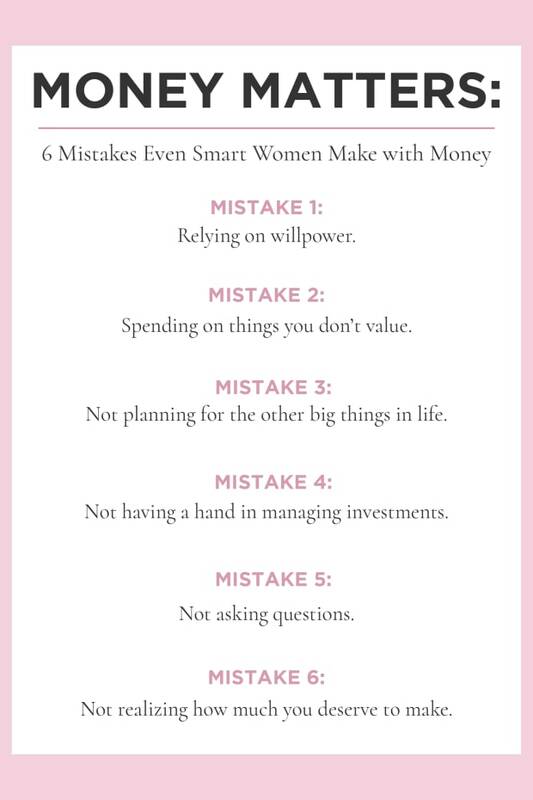 So Money with Farnoosh Torabi. Great interviews and I love her Friday “Ask Farnoosh” episodes. Financial Grown Up with Bobbi Rebell. Short format interviews which are perfect for when you only have 15 minutes for a quick money lesson. Marketplace. This is my all-time favorite podcast. It&apos;s more about the economy than personal finance, but they do a great job of relating world events back to your bank account. I Will Teach You To Be Rich. 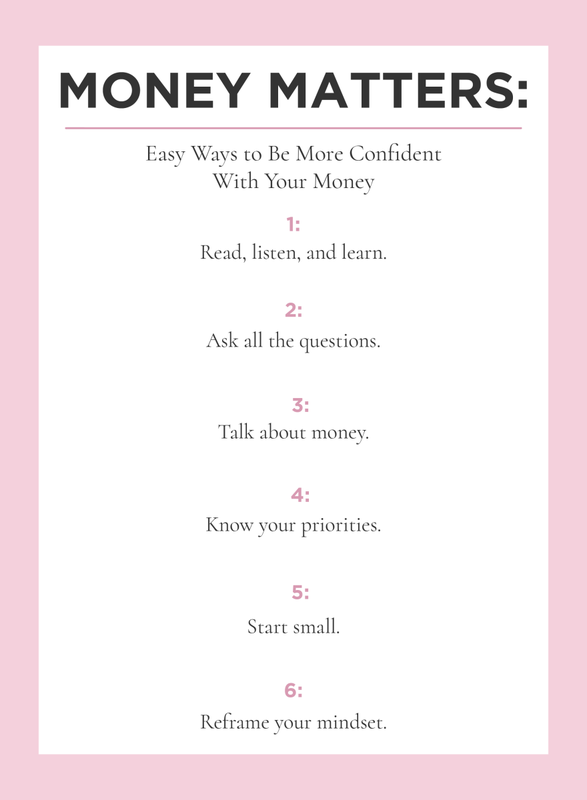 Hands down, the best book to help you put a step-by-step plan into place to get you to become more confident with money. The Index Card. This breaks down personal finance into nine simple, easy to follow rules. And—shameless plug—I have a newsletter that sends everything you need to know about money straight to your inbox every Friday. One thing that I used to struggle with was asking questions about money. I felt like I should already know the answer or that I should have learned this information somewhere along the way into adulthood. By not asking questions, I spent a lot of time paralyzed with indecision. When I was researching how to roll over my 401k from my old employer, the options were overwhelming: Who do I choose to invest with? How exactly do I make the transfer? And what do I do once the money changes accounts? Because I had so many unanswered questions and wasn’t very confident about the entire process, I didn’t do anything for two years. When I finally decided to do something, I called my old employer to ask about their process, asked a few friends what company they used for their investments, and called the company I was transferring my money into to figure out exactly how investing with them worked. I had put this off for years and in the end, the whole process took less than two hours. The point is: Don’t be afraid to ask questions. Whether you’re investing money and you want to understand exactly how things work, or you’re being charged a fee and you want to understand why, simply ask. One of the best parts about my job is that I get to write and talk about money. When I share what I do with people, it almost always sparks a conversation. People want to tell me about the strategies they use or ask my thoughts on a new service or company they’ve heard about. As a byproduct of these conversations, my own relationship, confidence, and strategies with money have improved. 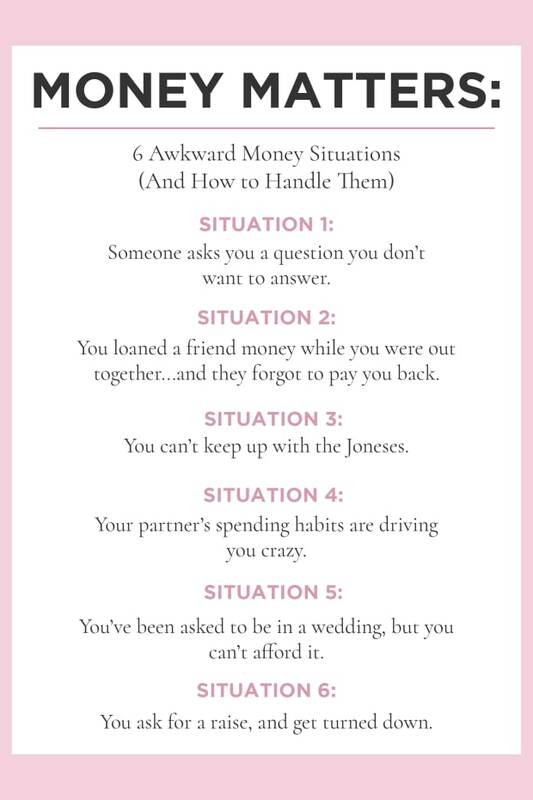 It can feel awkward to talk about money, but it’s actually good for your bank account. In one study researchers found that students from households where money was talked about openly were less likely to have impulse spending problems or credit card debt. Often, our friends and family are our closest resources to help shape good financial decisions. They can offer suggestions to problems or recommend different companies that they like working with. Even if you grew up in a household where money wasn’t an open topic of conversation, it’s not too late to start talking about it. Start an easy conversation by sharing an interesting topic you heard on a podcast or a new app you’re curious about. Through these conversations, you’ll start to find the people who get excited about talking about money. One big piece of being confident with your money is knowing what your priorities are. Why? Because these priorities guide your decisions and day-to-day actions. 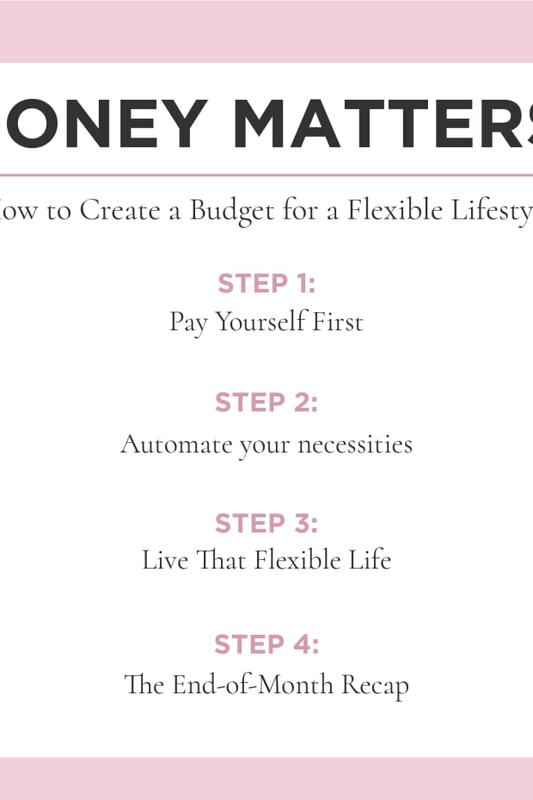 Once you know these priorities, you’ll become more aware of whether your daily spending habits or actions reflect these priorities. If they don’t, it’s easier to make changes. Once I was clear with my priorities, I was able to confidently say “thanks but no thanks” to the things that didn’t align with them. When my priority was to pay off my business school loans, I was confident cutting out spending habits and saying no to events that didn’t help me reach that goal. Now that I’m a new mom working to balance a career, good and trustworthy childcare is my priority. Even though it’s not cheap, I’m confident in my decision to spend the money. You don’t have to jump in and make huge changes to your money to see big results. When it comes to your confidence around money, boost it with small wins. 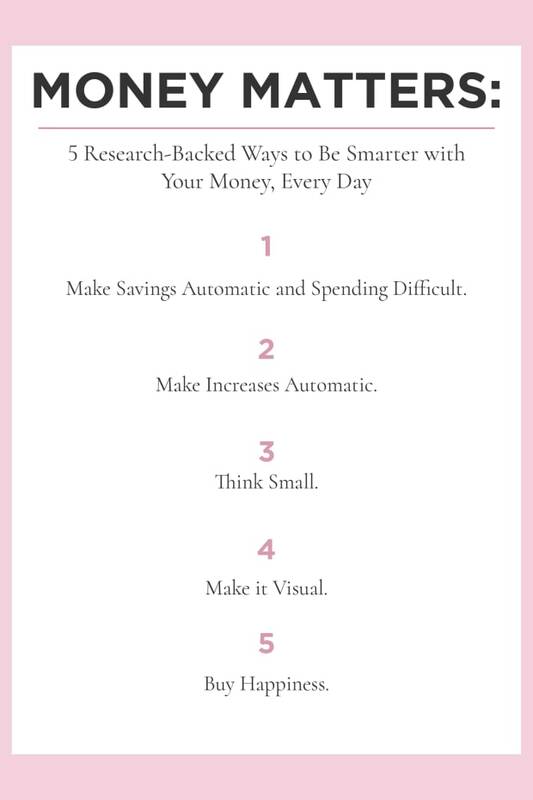 Take whatever big—and overwhelming—goal you have around money and break it down into something you can achieve quickly. If you’re working to pay off credit card debt, rather than focus on the entire balance, brainstorm ways you can double your payment next month. If you want to start investing, take 15 minutes to research the account minimums to get started. If you’re building your emergency fund savings, think of how you can add an extra $100 to it this month. Or if you’re looking to cut back on spending, call to see if you can get a better rate on a service you’re using (like your internet, phone, or cable). Working on small actions and seeing repeated success will help build your confidence to take on bigger money decisions. This last one may not be easy, but it’s important. It can be so easy to fall into the trap of feeling like everyone else has things more together than us; that they’re somehow smarter than us. Recognize and stop those confidence-crushing thoughts in their track. Trust yourself: You’re smart and can learn what you need to. Everything with money is figure-out-able.